What do South Africa and Mexico have in common? At first glance they seem like two very different countries, cultures, geographies, languages and people. But at second glance, there’s (at least) one similarity. Communities in both countries suffer from water shortages and drought — caused by (in part) alcohol production. A look at the simple facts already makes clear that alcohol production is bad for water security because it costs loads of water to make a little bit of wine, beer or liquor. But the situation of South African and Mexican communities gives these facts a face, a story, and urgency. The drought in Cape Town, South Africa’s iconic metropolis, is described as the worst in a century. Drinking water has been rationed. By summer, four million people in the city may have to stand in line surrounded by armed guards to collect rations of the region’s most precious commodity: drinking water. Estimations show that it will run out completely in the beginning of July. Agriculture is using 60% of the water resources. They export our water in the form of wine,” says Vanessa Ludwig, CEO for the civil society group Surplus People Project. Cape Town is a city experience a severe water crisis. Population growth, combined with the record drought and wine production that guzzles up precious water is fuelling one of the world’s most dramatic urban water crises, as South African leaders warn that residents are increasingly likely to face “Day Zero.” That’s the moment, previously projected for mid-April but now pushed back to early July, when Cape Town is projected to shut off taps to homes and businesses because reservoirs have gotten perilously low — a possibility officials now consider almost inevitable. The city is set to shut off the taps to 4 million people. Wine production is problematic in several ways, reports Eva Ekeroth for the Swedish magazine Accent. Historically, wine production is associated with slavery. The massive need for labor at the vineyards was one reason why slavery came to South Africa. The slaves didn’t get any salary, but were paid in food and wine. Many ended up in alcohol addiction,” says Vanessa Ludwig. But Cape Town is just one of many cities and regions worldwide facing a water crisis. Relentless alcohol industry activity on the other side of the border in Nava county had caused the water crisis. The Constellation Brands brewery was drawing water from wells drilled to a depth of 500 metres, and increasing production at the plant even made the crisis worse. Constellation Brands had claimed in 2014 that the Nava brewery would implement water-conservation practices and recycle 30% of the water it uses. 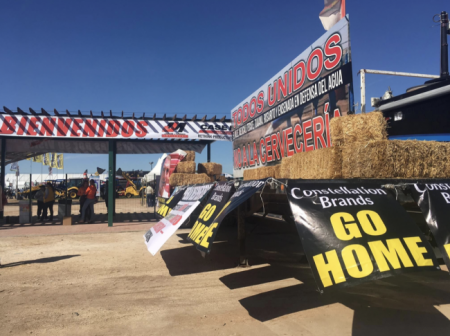 However, a new crisis is affecting the border region and people are calling for boycotts of Anheuser-Busch InBev, the world’s largest beer producer and parent company of Constellation Brands. Activists in northern Mexico are fighting against the relocation of a brewery to their community. Given the precedences, they argue that the brewery will use up precious water resources and hurt local farmers in the midst of an ongoing drought. In 2015, the beer giant was promised private exclusive access to public water, categorized as “home use” water, via what opponents call “various shady, undocumented agreements” between the company and Baja California’s public servants, including Governor Francisco ‘Kiko’ Vega. 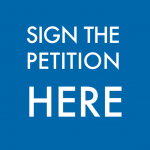 A drinking water direct line was promised to the company in a confidential document, which prohibited any of the involved parties from discussing it publicly. The water would be obtained from wells on federal property, which means using it would be illegal. The state lands for the factory were also illegally licensed. Activists are calling on people around the world to boycott Constellation products. Constellation Brands’ Brewing Company insists on depriving us of our own water in order to export it to the United States as beer,” Mexicali Resiste, a local activist group opposed to the construction of the brewery, wrote in an open letter published to the site Latino Rebels. Evidence from Kenya shows that alcohol production has negative impact on water security and the environment. These problems are only going to grow as the multinational alcohol companies are planning new massive investments in production sites in the developing world. For example, AB InBev recently confirmed plans for building a new brewery in Tanzania, with a potential investment of up to US$100m. AB InBev is currently building a mega-brewery in Nigeria that will start production by mid-2018. Water crisis are set to increase and the struggle for access to water is getting harder, as global warming increases the severity and frequency of droughts and alcohol production sites guzzle up precious water. It is estimated that there will 3 billion people living in potentially severely water-scarce areas. It is in the face of this reality, that partnerships like water.org and the notorious AB InBev in “Buy lady a drink” become counter-productive. “Buy a lady a drink” is a perfect PR move to disguise all the negative impact of alcohol production and use. 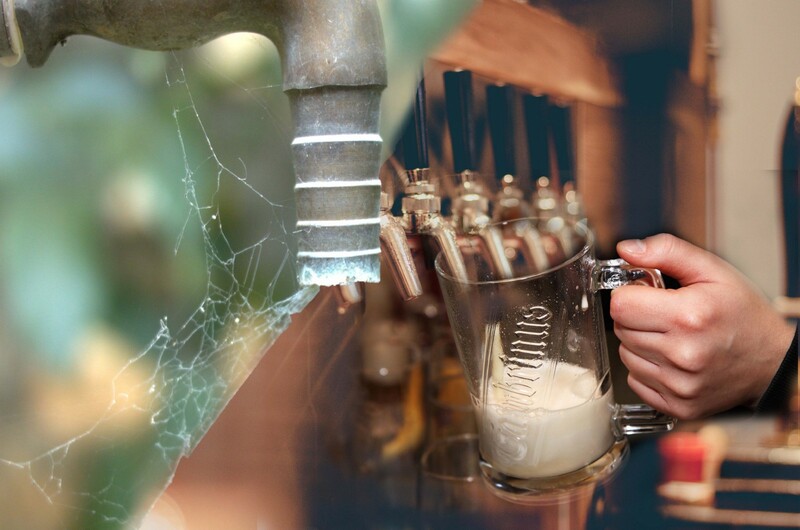 It legitimizes the questionable activities of alcohol producers. It also calls into question the seriousness and ultimate commitment to lasting change by philanthropists like Matt Damon. It is not my mere opinion. We know that people in Maxico or Cape Town are asking having their water back. If Matt Damon knew that, would he still see the partnership with ABInBev as noble as he does now? Would he be proud of it? I believe that in this case, there is no need to make compromise or go for a less worse solution. Matt Damon does not need Stella Artois to raise awareness about the problem with access to water. I am sure many partners and other NGOs with access to people would be happy to raise that awarenss. And that is why we have opened an AVAAZ petition to inform Matt Damon and let me take a new decision. There are one million people killed by water related disease each year. I believe this misfortune and injustice is a highly motivating factor for Matt to act and try to help making the life of affected people and communities better. It is a noble cause he has set off to. There are 3.3 million people killed by alcohol each year. In the end, beer is 90% water… And Matt Damon is helping to spoil this precious resource without knowing (I hope) and without realizing that his moves are counter-productive. That is why I ask Matt Damon to end the partnership with Stella Artois and show the world, that we do not need to compromise our values to make the world better.